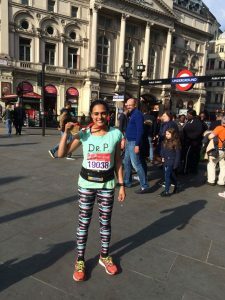 Dr Purvy Patel ran the London Marathon for us. Purvy raised over £1000 for us – just amazing. You can still donate via her page here.